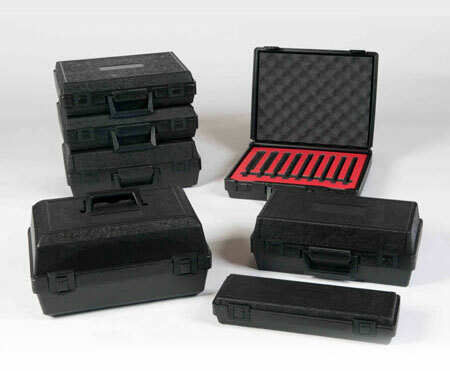 Our in-stock blow molding cases have an outside length of 15.0 with a variety of widths and depths. The cases have six choices of depth, ranging from 2.5 – 6.12. We manufacture our cases using a blow molding process to provide a top quality product. To find out more information and receive a quote for our in-stock plastic cases, contact us at 1-877-593-2182.